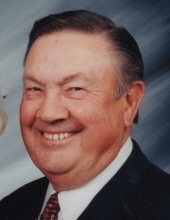 Lyle Carlos Mutter, 87 years of age of Grundy, VA, passed away Wednesday, February 13, 2019 at his home with his family by his side. Born November 18, 1931 in Council, VA, he was the son of the late George and Mary Edgar Ratliff Mutter. Lyle was a 1949 graduate of Grundy Senior High School, a United States Army Master Sergeant, having served during the Korean Conflict. He attended Virginia Tech. Lyle married his soul mate and the love of his life, Evalena Rife Mutter, on December 21, 1957. He worked several different jobs including N & W Railroad and Sears. In April of 1972, he established his own business, Mutter Insurance Agency, where he continued to work until his health failed him. Lyle was a Buchanan County native and a true civil servant. He served on numerous boards and civic organizations, including president of the Buchanan County Chamber of Commerce, a board member of the Grundy YMCA, currently serving on the Buchanan County Planning Commission, and a contributing author to the Buchanan County Pictural Book. He transcribed the 1860 Buchanan County census. He was honored to be inducted into the Buchanan County Hall of Fame in 2007. He was a sixty year member of the Sandy Valley Lodge #17 AFAM where he received the Perfect Ashler Award from the Grand Lodge of Virginia in 2015. He was a lifetime member of the VFW #7360, a member of The American Legion Post # 164, Odd Fellows IOOF #17, the Eastern Star, and long time member of the Scottish Rite Kazim Temple in Roanoke, VA. He was also an avid fisherman and golfer, a member of the Willow Brook Country Club, a historian and purveyor of antiquities. He was a member of Vansant Baptist Church, loved his county and country, but most of all, he loved all his family, especially his grandchildren. In addition to his parents, he was preceded in death by his sisters Ann Vestal and Vonda Mutter. Survivors include his loving wife of sixty-one years, Evalena Rife Mutter of Grundy, VA; son, Mark Mutter and wife, Angie of Grundy, VA; sister, Faye Mills of Bloomington, IN; grandchildren, Lyle Conner “LC” Mutter of Charlotte, NC, Mark Wayne Mutter, II of Pikeville, KY, Mary Ruth Mutter of Blacksburg, VA; several nieces and nephews. Funeral service for Lyle Carlos Mutter will be held at the Shortridge-Ramey Funeral Home Chapel of Grundy, VA, Saturday, February 16, 2019 at 11:00 a.m. with Pastor Eric Fannin, Stan Parris, and Evangelist Bill Neeley officiating. Entombment will follow in the Mountain Valley Mausoleum in Big Rock, VA.
Full military rites will be conducted at the cemetery by the VFW #7360 and The American Legion Post # 164. Active pallbearers will be George Vestal, Anthony Vestal, Grayson Boyer, Taylor Burgess, Randy Vandyke, and Chris Boyd. Honorary pallbearers will be the staff of Mutter Insurance Agency, Dewey Looney, Jerry Shields, Tommy Skeens, Bobby Randall Matney, Charles Vestal, Lonzo Rife, Conner Mann, James Street, Billy “Bur” Harold Looney, Craig Plymal, Kevin Cook, Matt Rasnake, John Lark, Dr. Clint Sutherland, Dr. J. G. Patel, Liz Justus and staff of Special Care Hospice. The family will receive friends at the Shortridge-Ramey Funeral Home Chapel of Grundy, VA, Friday, February 15, 2019 after 6:00 p.m. with Masonic Rites at 7:00 p.m. followed by a song service. The family of Lyle Carlos Mutter have entrusted the care of their loved one to Shortridge-Ramey Funeral Home of Grundy, VA.
"Email Address" would like to share the life celebration of Lyle Carlos Mutter. Click on the "link" to go to share a favorite memory or leave a condolence message for the family.